JxMaps — Embed Google Maps into your JavaFX/Java Swing application. 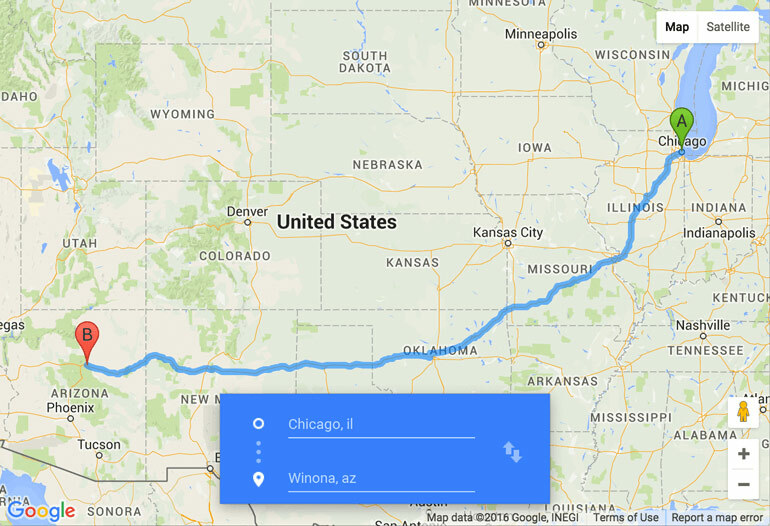 Integrate Google Maps into JavaFX or Java Swing application in less than an hour. Check out the code examples. All support requests are handled directly by our development team with 17 years of experience in Java integration. Display geoposition of the GPS-enabled assets from drones and aircraft to pet trackers. Track vehicles and build optimal routes and travel time estimates. Show maps with customized markers, provide tourists with directions and info on nearby hotels, restaurants or banks. Map geotagged entries and graphically display spatial distribution data. Display properties location and map important information about each asset. Show location of the contact based on the address in a contact management system or CRM. Integrating a Google Map into your Java Swing application is easy. * Copyright (c) 2000-2017 TeamDev Ltd. All rights reserved. * Use is subject to Apache 2.0 license terms. * display it in JFrame and open a simple map. // the map object is ready to use. Current implementation of onMapReady customizes the map object. 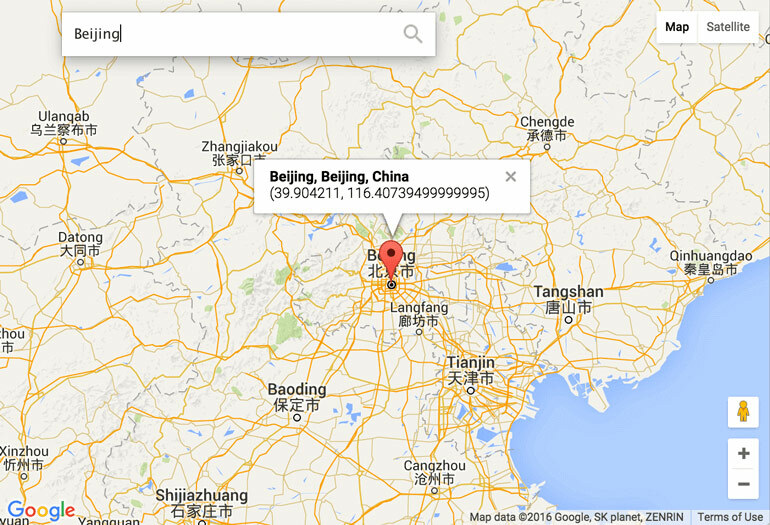 Get geographic coordinates out of addresses and vice versa. Mark the position on the map. * This example demonstrates how to geocode coordinates by an address and vice versa. Build routes and get directions between multiple positions on a map for transit, driving, cycling or walking modes of transportation. * This example demonstrates how to calculate a route between two locations. 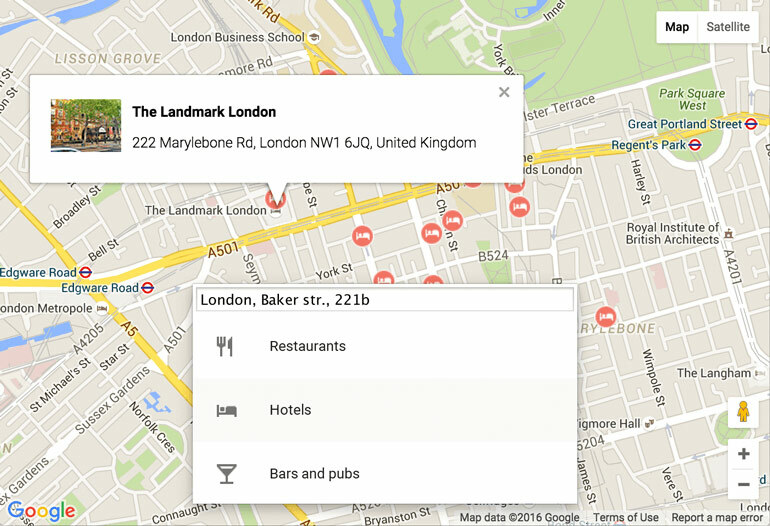 Show places with detailed description based on a specified location or a search string. * This example demonstrates how to find places on the map. * Also it demonstrates how to get details about selected place. Display custom shapes on the map. 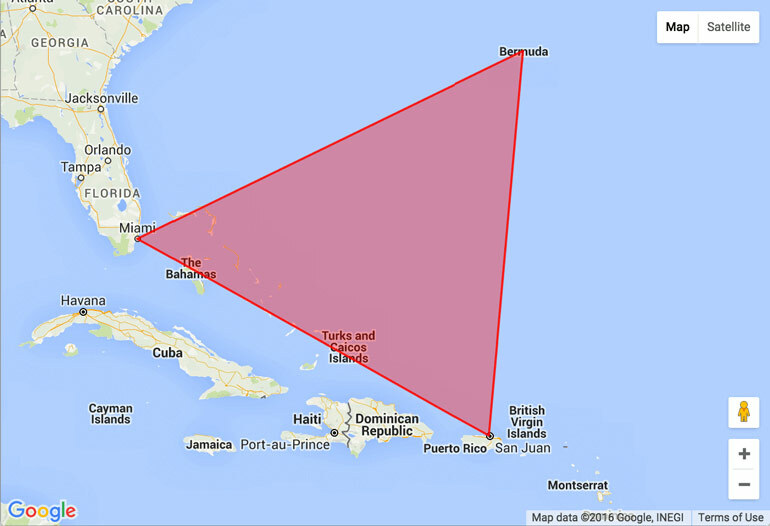 * This example demonstrates how to draw polygons on the map. 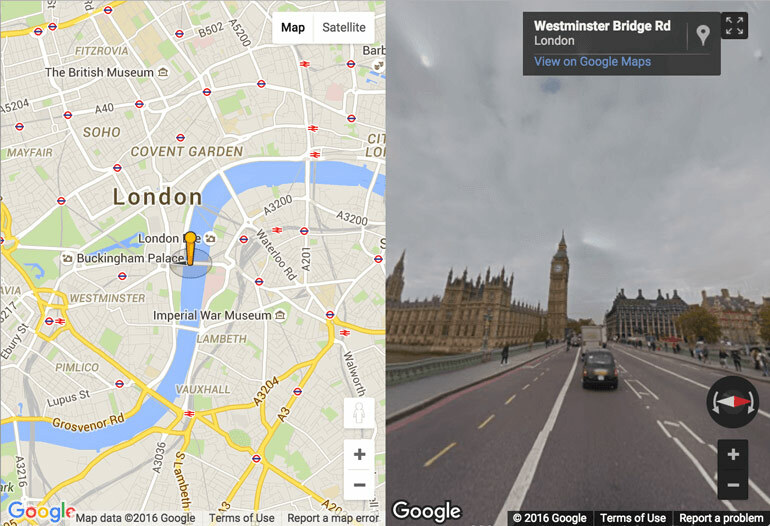 Display Street View panoramas directly in the map. * This example demonstrates how to display street view panorama with a map. 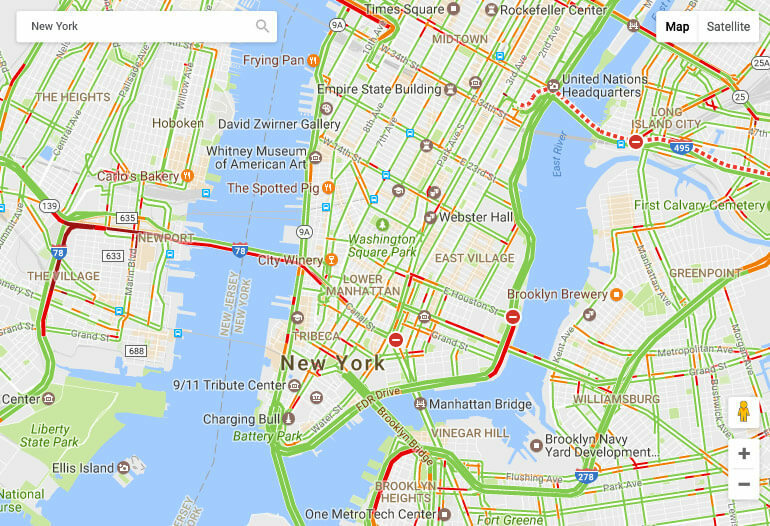 This example demonstrates displaying traffic layer on the map. * This example demonstrates how to display traffic layer on the map. 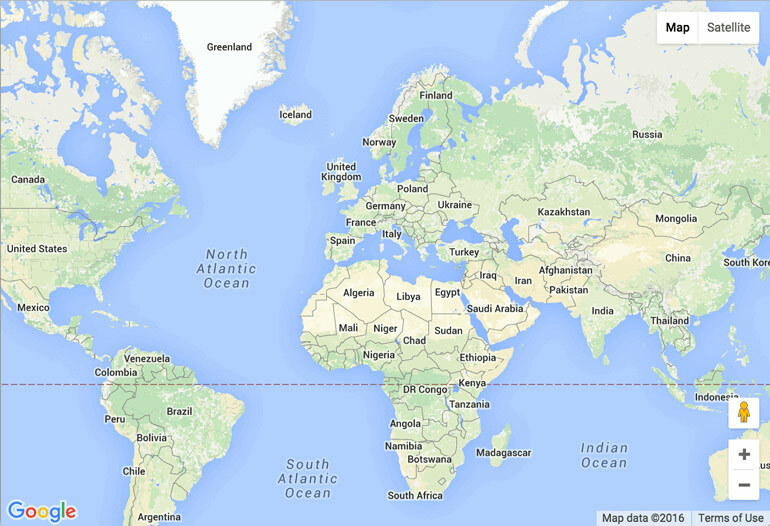 Integrating a Google Map into your JavaFX application is easy. * display it in JavaFX application and open a simple map. During evaluation period please use the email address, provided to you in the evaluation email. If you have an active support subscription, please use the email address, provided to you in the email confirming the license purchase. We answer questions with #jxmaps tag on Stack Overflow. Mail If you have questions, not covered by the documentation, please email us at sales@teamdev.com. JxMaps is using Webkit and FFmpeg components, supplied under LGPL. What platforms does JxMaps support? JxMaps supports Windows XP SP2, 7, 8, Server 2008, Server 2012, macOS 10.8 - 10.12, Ubuntu 10 and higher; Oracle and Apple JDKs 1.6 and higher, 32-bit and 64-bit architectures. Can I use it in Java Web Start applications? Yes, you can use JxMaps in Java Applet and JWS applications like a standard Java library. How do I configure the license? Take a look at the license installation instruction. Where can I find code examples? You can find examples in JxMaps distribution package and online in JxMaps repository on GitHub. What are the terms for using JxMaps? Please take a look at the JxMaps Product License Agreement. There are 6 people on our team, and 2 of them need to use JxMaps. How many licenses do we need to purchase? You only need to purchase 2 licenses. We license our library by the number of people who write code using our library. If we take a developer, working with JxMaps, off the project, can we reassign the license to another developer? This is possible with the Per Developer License. How many copies of my product can I distribute with JxMaps included? You can distribute unlimited number of copies of your product with our library enclosed. Which updates can I receive free of charge? All JxMaps updates, both major and minor issued during the active Standard Support subscription period, are free of charge. We have 5 people who need to work with JxMaps on one project. You may want to purchase a Project License, which is cost-effective in case there are 3 and more developers on the team. The Project License is bound to a single project you do, but it allows any number of developers in your company to work with our library. What is fully-qualified class name? Which class can be used for binding the license? This can be any class of your application. The only requirement is that it should be included into your Java application class path. What’s the definition of “project” in terms of the Project License? When we say “project” we have in mind one product of your company, including your future product versions or potential derivative works, based on your product. Will we be able to use the Project License in another project we do? The Project License is tied to one project only. We’d like a license for multiple projects for a team of developers, what would you offer? The best solution would be to purchase a Company–wide License, which covers any number developers and projects in one company. How do I find the license file? Upon the license purchase you will receive a license archive. The archive will contain a licence.jar file. This license should be used in the development process and included in your application when distributing it to end users. Inside the license.jar you can find the teamdev.licenses file that contains information about your license. We need to look at the Source Code of JxMaps, do you provide it? Yes, you can purchase JxMaps Source Code License; it is provided on a per developer basis. Please contact our sales team if you are interested in this option. How can I get a free license? If you are doing an open source or academic project, you can apply to get a free license. Please submit a request via Open Source or Academic tab on the evaluation form. Chromium is open source. Under which license is it provided? Chromium code is mainly provided under a permissive BSD license, however, some components it includes are supplied under different licenses. We have reviewed the licenses for all components included in JxMaps and referenced them here. There are no requirements to disclose your proprietary code. Links to download your evaluation license and distribution archive will arrive at your inbox in a few minutes. If the message gets lost in your mailbox, try searching for an email from JxMaps Evaluation Support with “Your Free 30 Days Trial” subject. include all the JAR files from the lib directory and evaluation license licence.jar in your application class path. Check out the ready-made examples for instructions and ideas on what you can do with your newly gotten JxMaps. With this license you will be able to evaluate our product for 30 days. The evaluation license will not work after this time, so you will need to purchase the license. The evaluation license will not work after this time. If you are doing an open source project, you can request a permanent license via the link provided in the email you will receive. The evaluation license will not work after this time. You can request a license for duration of your academic project via the link provided in the email you will receive. You should have an existing open source project which has commits and some life period of the project. We can provide licenses only for projects distributed under non-viral license (LGPL, Apache, etc.). Our library is proprietary and we will not be able to disclose its code. Please list other technologies, it may help in support. We collect your personal information to identify you as our customer and provide you with our products and services. Check out our privacy statement. I agree to processing of my personal information. We would like to send you information on upgrades and offers whenever we feel the new version or product is useful for your development. You can unsubscribe from emailing at any time. I agree to receive suggestions for products upgrades and offers. Please, enter valid email address. Please, don't leave message blank. This is a legal agreement (“Agreement”) between you (either an individual or an entity), and TeamDev Ltd. (“TeamDev”). IMPORTANT [PLEASE READ CAREFULLY]: BY INSTALLING, USING OR COPYING THE SOFTWARE OR ANY RELATED DOCUMENTATION (“SOFTWARE”) YOU AGREE TO BE BOUND BY THE TERMS AND CONDITIONS OF THIS AGREEMENT. IF YOU DO NOT AGREE TO THESE TERMS AND CONDITIONS, YOU ARE NOT AUTHORIZED TO INSTALL OR USE THE SOFTWARE. a) “Software” means the software product supplied by TeamDev in binary form and corresponding documentation, associated media, printed materials, and online or electronic documentation. b) “Evaluation License Key” means a file that allows using the Software for evaluation purposes for a limited period of time which shall commence on the day of Evaluation License acquisition, and terminate pursuant to the provisions defined by the section 3 “Evaluation License Grant” of this Agreement. c) “Commercial License Key” means a file that allows you to integrate the Software into programs that you create and distribute the Software as part of your programs according to the terms of this Agreement. d) “Effective Date of the Agreement” means the date when you receive an Evaluation License Key or a Commercial License Key, whatever comes first. e) “Software Update(s)” means any new version(s) of the Software that are created by TeamDev to deliver bug fixes, new features, functionality extensions and other improvements and/or changes. f) “Open-Source Component(s)” for the purposes of this Agreement shall mean any software, whose source code is publicly available for use, modification and distribution. The Software is owned by TeamDev, copyrighted and protected by copyright laws and international treaty provisions. The Software is licensed, not sold. By installing or using the Software you will not acquire any rights to the Software except as expressly set forth in this Agreement. All rights not expressly granted herein are reserved by TeamDev. The rights to the Open-Source Components used by the Software are property of their respective copyright owners. Subject to the terms and conditions of this Agreement, TeamDev hereby grants you a non-exclusive, non-transferable right to use one copy of the specified version of the Software and the Documentation for the sole purpose of evaluation during the period of 30 (thirty) calendar days (Evaluation Period), and create a copy of the Software for backup purposes. 4.1. General License Grant. Subject to the payment of the applicable license fees and to the terms and conditions of this Agreement, TeamDev hereby grants to you a non-exclusive, non-transferable perpetual license to (i) use the Software and Documentation including all the Software Updates pertaining to you per the section 6. “Support and Updates” of this Agreement for personal, company internal and commercial needs, (ii) to reproduce and distribute the Software in executable form as part of the programs that you create using the Software without additional distribution fees (“Commercial License”). Commercial License is provided to you pursuant to the use conditions of one or several of the Commercial License types described in sections 4.2. — 4.5. below. The type of the Commercial License governing your use of the Software is recorded in the Commercial License Key, provided to you upon the license purchase. 4.2. Per Developer License may be used by the developers, employees or contractors under your control. The number of software developers, employees or contractors using the Software in each case should be equal to the number of Commercial Licenses acquired from TeamDev. Your name or the entity’s name and the number of Commercial Licenses acquired are recorded in the Commercial License Key. 4.3. Project License may be used in one project you do by any number of developers, employees or contractors under your control. Project shall mean one software product created by you, any future versions or derivative works based on your software product. 4.4. Company-wide License may be used in any number of your projects by any number of developers, employees or contractors under your control. 4.5. Personal License allows just one person to exercise the Commercial License rights. The name of the person, to whom the license is granted, is recorded in the Commercial License Key. Personal License may not be available for the specific Software you are using. For the Personal License availability please consult the “Licensing and Pricing” section of the corresponding Software product page on TeamDev official website (teamdev.com). 5.1. General License Restrictions. You may NOT: a) modify, adapt, alter, translate, decompile, reverse engineer, or disassemble the Software, except as may be required to replace a third party Open-Source Component that is used in the Software; b) remove any proprietary notices or labels on the Software; c) make more copies of the Software than the number of the acquired licenses (excluding a copy for backup purposes); d) rent, lease, or otherwise transfer rights to the Software. 5.2. Evaluation License Restrictions. In addition to the general restrictions denoted in the section 5.1., as the holder of the Evaluation License you may NOT: a) use the Software for commercial purposes; b) use the Software after expiration of the evaluation period. 5.3. As a holder of a Per Developer License you may not duplicate and provide the Commercial License Keys to a number of software developers, employees or contractors greater than the number of the Commercial Licenses granted per section 4 of this Agreement. 5.4. As a holder of a Per Project License, you may not use the license for more than one project. At the time of license issue it is bound to one project, and you may not use the license for projects, to which the license was not initially bound. 5.5. As a holder of a Personal License you may not transfer the Commercial License to anyone. 6.1. Together with a Commercial License TeamDev will provide you with a 12-month subscription for support and Software Updates (Standard Support). i. Answering questions related to the functionality of the Software. iii. Ability to use designated support email address, or access to TeamDev Help Center via allocated account. 6.2. Standard Support subscription will be valid for 12 calendar months and will end on the same day of the following year after the date of a Commercial License purchase or the date of any consecutive subscription renewal. Standard Support subscription renewal is subject to a fee to TeamDev. 6.3. The number of support hours available to you under Standard Support subscription is defined by the type of the Commercial License you acquire from TeamDev. This information is available on the Software product page on TeamDev official website (teamdev.com). The number of hours designated for each license type is a subject to change without prior notice from TeamDev. In case of such change any number of hours already granted to you pursuant to a Commercial License purchase will remain valid for you. 6.5. In the course of Standard Support TeamDev may provide you with supplemental software code or related materials, that are made available in form of Software Updates (including hotfixes). Such supplemental software code or related materials are to be considered part of the Software and are subject to the terms and conditions of this Agreement. 6.6. With respect to any technical information that you provide to TeamDev in order to enable TeamDev complete your requests for Standard Support, TeamDev may use such information for its business purposes without restriction, including for Software support and development. TeamDev will not use such technical information in a form that personally identifies you. You agree to be identified as a customer of TeamDev and you agree that TeamDev may refer to you by name, trade name and trademark, if applicable, and may briefly describe your business in TeamDev's marketing materials and websites. You hereby grant TeamDev a license to use your name and any of your trade names and trademarks solely in connection with the rights granted to TeamDev pursuant to this marketing section. You and TeamDev may use the information about the business relationship pursuant to this Agreement for independent or joint marketing efforts. Examples of allowable marketing uses include creation and use of case studies, press releases, printed and online marketing materials, presentations, and business references. 8.1. TeamDev will defend and indemnify you for all costs (including reasonable attorneys fees) arising from a claim that Software furnished and used within the scope of this Agreement infringes a U.S. or Canadian copyright or patent provided that: (i) you will notify TeamDev in writing within 30 (thirty) calendar days of the claim; (ii) TeamDev has sole control of the defence and all related settlement negotiations, and (iii) you will provide TeamDev with the assistance, information, and authority necessary to perform the above. 8.2. TeamDev will have no liability for any claim of infringement based on: (i) code contained within the Software which was not created by TeamDev; (ii) use of a superseded or altered release of the Software, except for such alteration(s) or modification(s) which have been made by TeamDev or under TeamDev’s direction, if such infringement would have been avoided by the use of a current, unaltered release of the Software that TeamDev provides to you, or (iii) the combination, operation, or use of Software furnished under this Agreement with programs or data not furnished by TeamDev, if such infringement would have been avoided by the use of the Software without such programs or data. 8.3. In the event the Software is held or believed by TeamDev to infringe any third-party rights, or your use of the Software is enjoined, TeamDev will have the option, at its expense, to: (i) modify the Software to cause it to become non-infringing; (ii) obtain for you a license to continue using the Software; (iii) substitute the Software with other Software reasonably suitable to you, or (iv) if none of the foregoing remedies are commercially feasible, terminate the license for the infringing Software and refund any license fees paid for the Software, prorated over a one and a half-year term from the Effective Date of the Agreement. THE SOFTWARE AND ANY RELATED DOCUMENTATION ARE PROVIDED ON A STRICTLY “AS IS” BASIS WITHOUT WARRANTY OF ANY KIND, EITHER EXPRESS OR IMPLIED, INCLUDING, WITHOUT LIMITATION, THE IMPLIED WARRANTIES OR MERCHANTABILITY, FITNESS FOR A PARTICULAR PURPOSE, OR NONINFRINGEMENT. THE ENTIRE RISK ARISING OUT OF USE OR PERFORMANCE OF THE SOFTWARE REMAINS WITH YOU. 10.1. TeamDev notifies that Software may contain third party Open-Source Components. More information is available on a corresponding product page on TeamDev official website (teamdev.com). 10.2. TeamDev and the Software are in full compliance with any Open-Source Components’ license to grant the license rights granted herein. 10.3. The terms and conditions governing the use of such Open-Source Components are in the Open-Source Software Licenсes of the copyright owner and not this Agreement. 10.4. In case you modify the Software as allowed pursuant to the clause 5.1 a) TeamDev disclaims any warranty related to the Open-Source components, including warranties contained in 10.2. You shall be liable for any claims of third-party rights infringement caused by modification of the Software made by you in accordance with clause 5.1 a). IN NO EVENT SHALL TEAMDEV OR ITS SUPPLIERS BE LIABLE FOR ANY DAMAGES WHATSOEVER (INCLUDING, WITHOUT LIMITATION, DAMAGES FOR LOSS OF BUSINESS PROFITS, BUSINESS INTERRUPTION, LOSS OF BUSINESS INFORMATION, OR ANY OTHER PECUNIARY LOSS) ARISING OUT OF THE USE OF OR INABILITY TO USE THIS TEAMDEV SOFTWARE, EVEN IF TEAMDEV HAS BEEN ADVISED OF THE POSSIBILITY OF SUCH DAMAGES. This Agreement does not grant any rights to use the trademarks or trade names: “TeamDev”, “JxBrowser”, “JExplorer”, “JNIWrapper”, “ComfyJ”, “JExcel”, “JxFileWatcher”, “JxCapture”, “DotNetBrowser”, “JxMaps” or any other trademarks, service marks, logos or trade names belonging to TeamDev except as defined in the Section 7 “Marketing”. You agree not to use any marks belonging to TeamDev in or as part of the name of products based on the Software. You may terminate this Agreement at any time by destroying all copies of the Software. This Agreement will terminate immediately without notice from TeamDev if it is discovered that you fail to comply with any provision of this Agreement. Upon such termination, you must destroy all copies of the Software. Section 9 “Disclaimer of Warranty” and section 11 “Limitation of Liability” shall remain effective after the termination of this Agreement.